In 2013, Maranello dropped the LaFerrari as Italy’s bid in the hybrid hypercar segment, taking on such heavy hitters as the McLaren P1 and Porsche 918 Spyder for top-dollar electrified performance glory. But something was missing, specifically unlimited headroom and a healthy dose of blue sky. Enter the even-more-exclusive LaFerrari Aperta. All told, the Aperta is quite the machine, and definitely worthy of your lust and admiration, especially when on display in a garage like this. Hit play, and this 3-minute, 11-second video will take you through one of the more interesting garages we’ve seen in quite some time. It looks closer to a mansion’s library than the traditionally anti-septic parking spots we’re used to seeing such machines occupy, with wood floors and cabinets and carved statues of lions, not to mention plenty of prancing horses on the walls. However, rather than antique furniture, the floor itself is packed with sports cars, including standouts like the Dodge Viper, Ferrari 599,Porsche 911 R, and Dodge Hellcat. 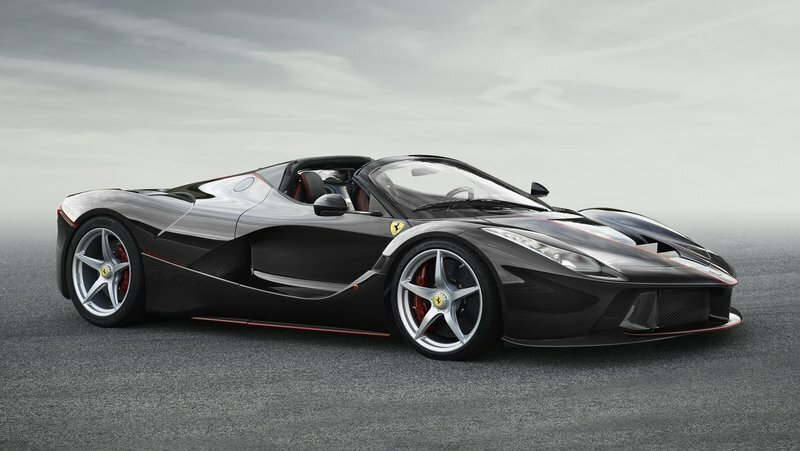 However, without a doubt, the crown jewel is the LaFerrari Aperta, set on a rotating base to display every angle and cut to drooling onlookers. The video includes lovely high-def shots of the Aperta, taken while a team of auto detailers lovingly buff and shine the various panels to a gleaming finish, all set to an epic soundtrack. There’s no engine noises or driving action, but if you like lusting after gorgeous exotics, this video is a guaranteed winner. 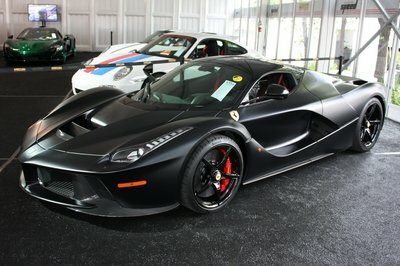 For starters, the “base” LaFerrari is a hugely desirable automobile. 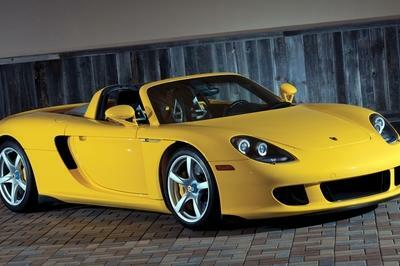 Production is limited at just 499 units, each of which goes for a whopping $1.7 million. But, as is tradition, the only thing that’s more desirable than a high-end Ferrari is a high-end Ferrari that can lose its top. 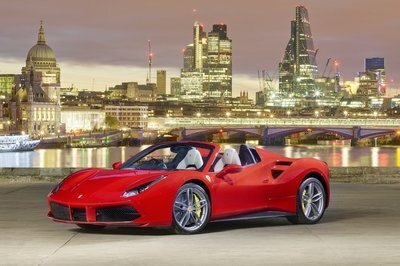 As such, Maranello introduced the LaFerrari Aperta, limiting production at just over 200 units, with pricing set at well over $2 million a pop. 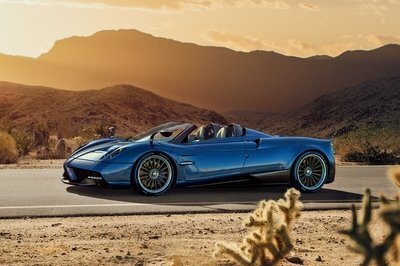 All the go-fast stuff is the same as the coupe, including the carbon fiber body panels (minus the bit up top), the active aerodynamics, and most importantly, that KERS-equipped 6.3-liter V-12 pumping out 950 horsepower and 664 pound-feet of torque. That means performance goes unchanged, with the 0-to-60 mph sprint done in 2.8 seconds, plus a hardtop-matching top speed that exceeds 217 mph. As is tradition, the only thing more desirable than a high-end Ferrari is a high-end Ferrari that can lose its top. 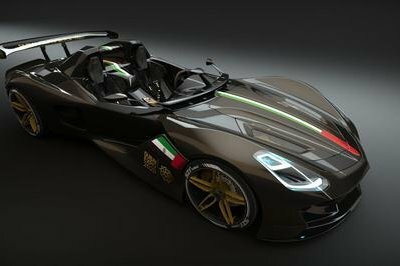 Anyone lucky enough to call an Aperta their own is right to construct a rotating platform to show it off and hire a team of detailers to keep it shiny. I just hope it gets driven every so often. If you owned a LaFerrari Aperta, what would you do with it? Let us know in the comments. Read our full review on the 2017 Ferrari LaFerrari Aperta.